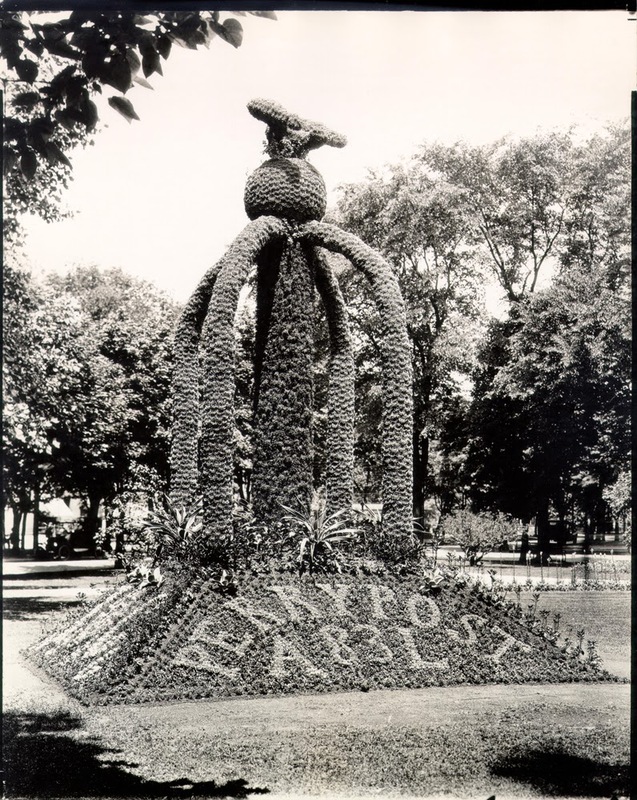 This patriotic themed floral mound, sponsored by the Perry Post, No. 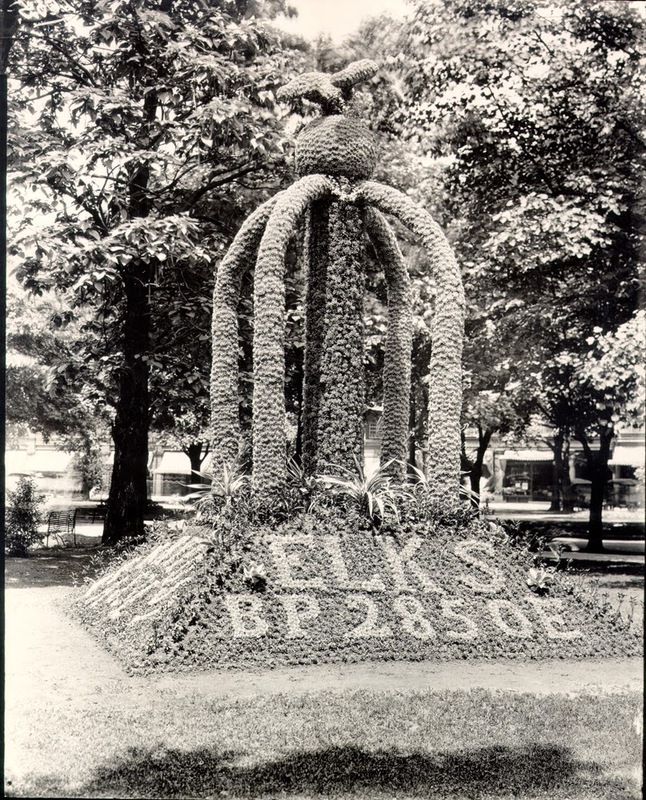 83, American Legion, was in the park sometime between 1910 and 1920. In the 1920s, the Perry Post of the American Legion was re-named the Commodore DenigPost, No. 83. 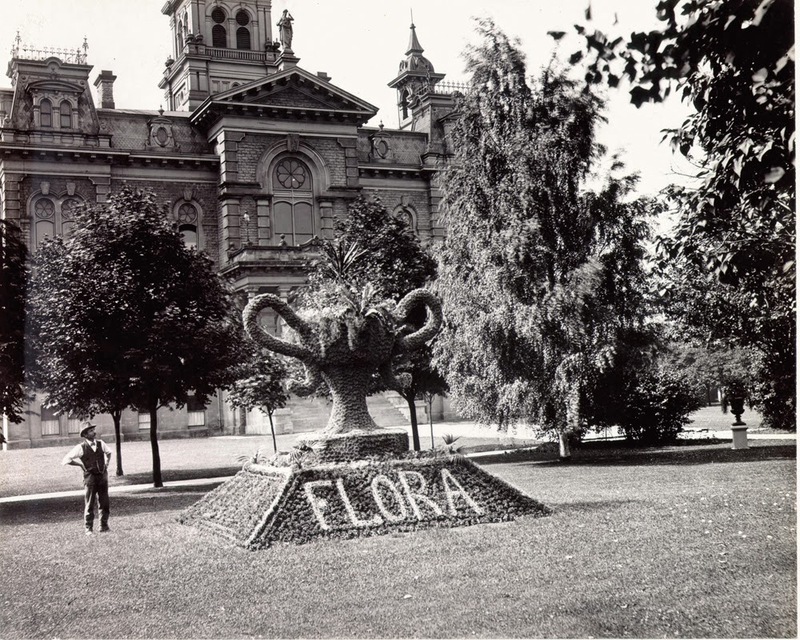 In 1917, another floral mound with a patriotic theme featured an eagle atop the globe, with a floral flag of the United States on the main portion of the mound. 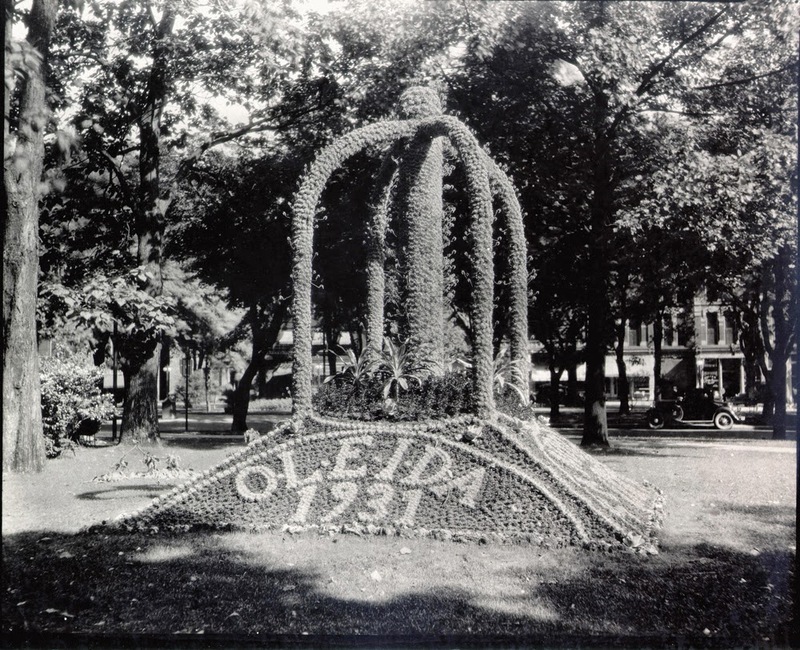 OLEIDA (Ohio Lake Erie Island District Association), which promoted tourism in the 1930s, sponsored the floral mound in this picture. 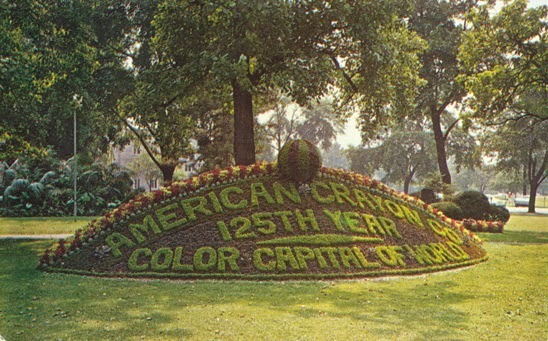 In 1960, a mound honoring the 125th anniversary of the American Crayon Company was located in Washington Park, facing East Washington Street. Local residents and tourists from all over the U.S. (and beyond) enjoy Sandusky’s beautiful parks every summer. 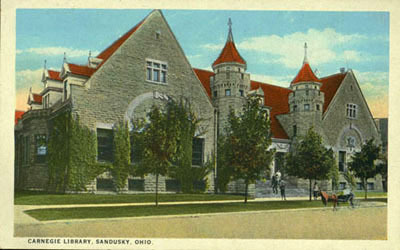 Visit the Sandusky Library Archives Research Center to see more historic photographs from Sandusky and Erie County.